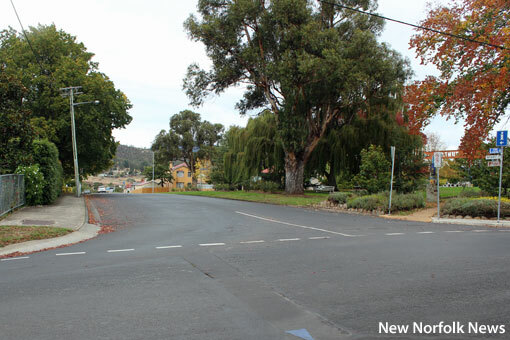 time it should have been full of cars. 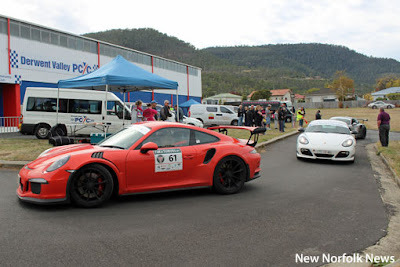 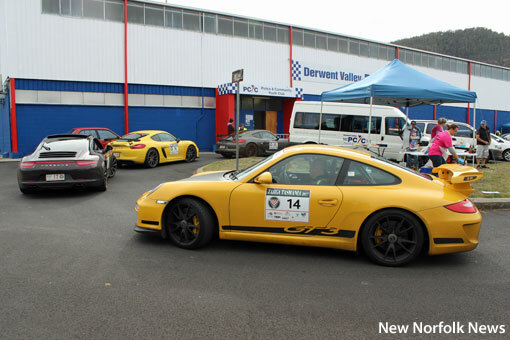 FOR the second year in a row, Targa Tasmania made a late change to its plans in New Norfolk and held its lunch at a different location to the one advertised. 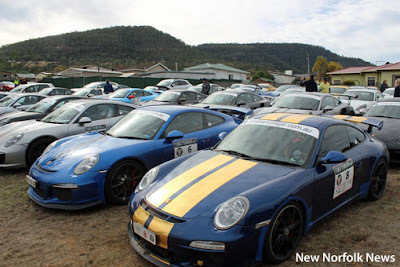 In 2016 the motorsport rally unexpectedly shifted its New Norfolk lunch break from one end of High St to the other, and for the 2017 event yesterday the gathering moved from one side of the river to the other. 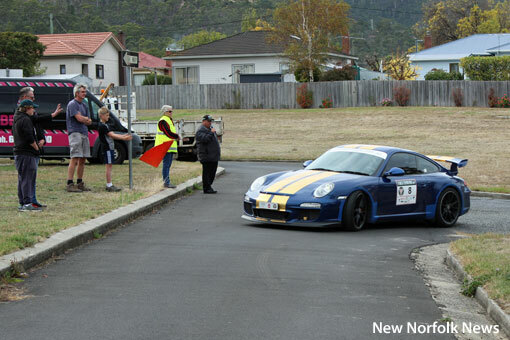 Despite announcing Arthur Square as the place where the 250 crews would take their Day 5 lunchbreak - complete with road closures in Bathurst St and lower High St - the event ended up being held at the Derwent Valley PCYC at Norfolk North. 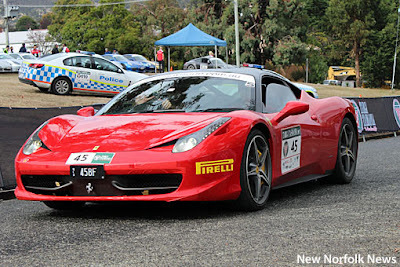 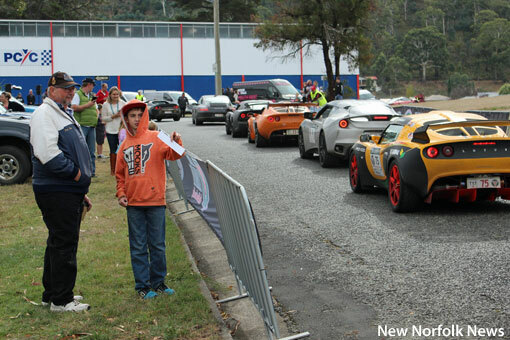 No explanation has been given for the change which potentially robbed a large cohort of motorsport fans of the chance to take a close look at the cars contesting the 26th running of Targa Tasmania and meet some of the crews. Commentators on social media say about 60 people watched the proceedings at the PCYC, which was also the venue for school holiday activities being held at the same time. The first car arrived at about 11.40am and further vehicles arrived in quick succession, filling the paddock opposite the sports centre. 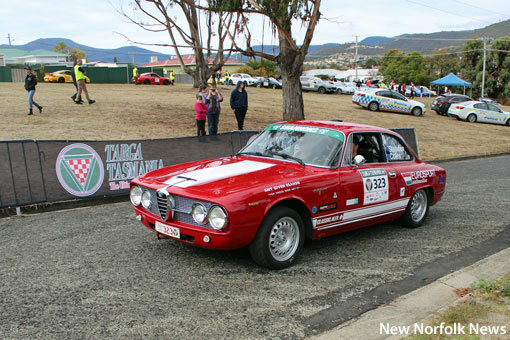 After the break, the crews set off for the competitive stage at Molesworth.